The Ayyubid dynasty was a Muslim dynasty of Kurdish origin founded by Saladin and centred in Egypt. 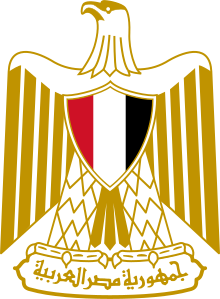 The dynasty ruled large parts of the Middle East during the 12th and 13th centuries. Saladin had risen to vizier of Fatimid Egypt in 1169, before abolishing the Fatimids in 1171. Three years later, he was proclaimed sultan following the death of his former master, the Zengid ruler Nur al-Din. 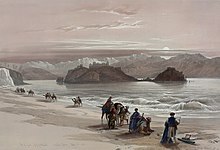 For the next decade, the Ayyubids launched conquests throughout the region and by 1183, their domains encompassed Egypt, Syria, Upper Mesopotamia, the Hejaz, Yemen and the North African coast up to the borders of modern-day Tunisia. 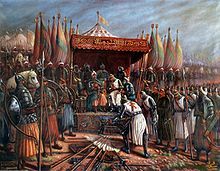 Most of the Crusader states including the Kingdom of Jerusalem fell to Saladin after his victory at the Battle of Hattin in 1187. 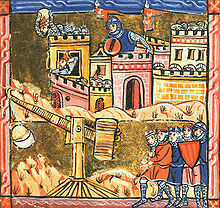 However, the Crusaders regained control of Palestine's coastline in the 1190s. The Zengid or Zangid dynasty was a Muslim dynasty of Oghuz Turk origin, which ruled parts of the Levant and Upper Mesopotamia on behalf of the Seljuk Empire. 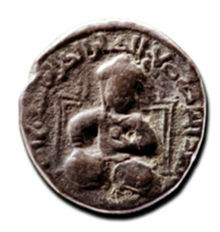 The rulers of Aleppo ruled as kings, Emirs and Sultans of the city and its region since the later half of the 3rd millennium BC, starting with the kings of Armi, followed by the Amorite dynasty of Yamhad, and ending with the Ayyubid dynasty which was ousted by the Mongol conquest in 1260. 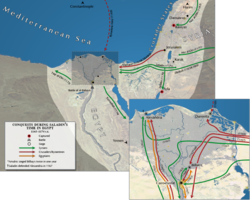 The Crusader invasion of Egypt (1154–1169) was a series of campaigns undertaken by the Kingdom of Jerusalem to strengthen its position in the Levant by taking advantage of the weakness of Fatimid Egypt. 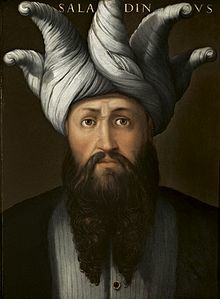 Saif ud-Din Ghazi II ; full name: Saif ad-Din Ghazi II Bin Mawdud Bin Imad ad-Din Atabeg Zengi; died 1180) was a Zangid Emir of Mosul, the nephew of Nur ad-Din Zengi. 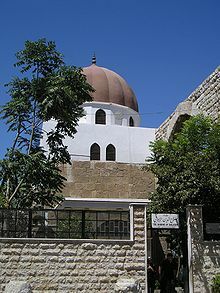 Al-Malik az-Zahir Ghazi ibn Yusuf ibn Ayyub was the Ayyubid emir of Aleppo between 1186 and 1216. 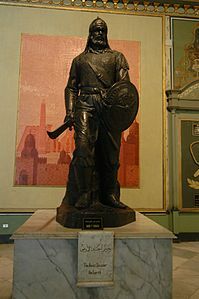 He was the third son of Saladin and his lands included northern Syria and a small part of Mesopotamia. Gökböri, or Muzaffar ad-Din Gökböri, was a leading emir and general of Sultan Saladin, and ruler of Erbil. He served both the Zengid and Ayyubid rulers of Syria and Egypt. 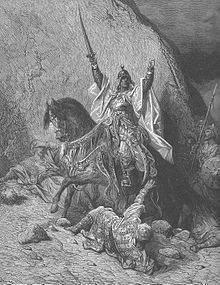 He played a pivotal role in Saladin's conquest of Northern Syria and the Jazira and later held major commands in a number of battles against the Crusader states and the forces of the Third Crusade. He was known as Manafaradin to the Franks of the Crusader states. 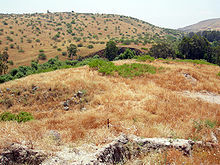 Tell Khalid or Tall Khalid is an archaeological mound in Gaziantep Province, Turkey. It is situated along the eastern or upper bank of the Sajur River and immediately east of the village of Asmacik. At the summit of the mound are the remains of a medieval castle. 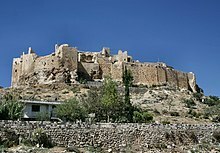 During the 12th century, the castle was contested at times by the Crusaders, Zengids and Ayyubids..